He was involved in American Legion baseball for over 50 years, staring with his appointment as business manager for Bristol’s team in 1950 in the midst of four consecutive state championships between 1949-1952. 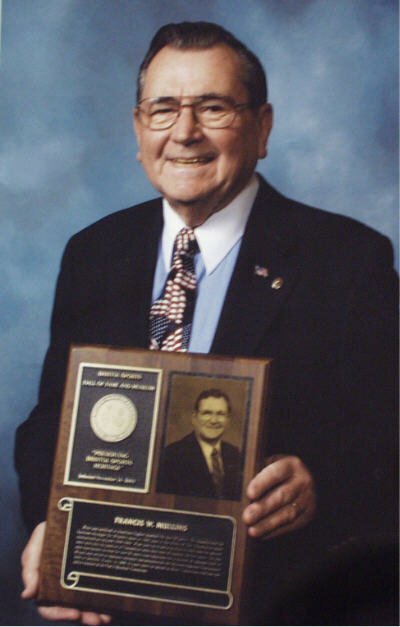 He went on to serve as district chairman for several years and held the position of Connecticut state chairman of baseball for five years. He was state tournament director for over 25 years, local chairman for a number of regional’s held in Bristol, and served as assistant national representative for the Midwest Regional Tournament held in Danville, Illinois, in 1989. He serves as Zone 1 chairman and is an active member of the Post 2 Baseball Committee. He was honored by the National and State Legion Baseball levels during the 2013 NE regional tourney for his 63 years of dedicated service to Legion Baseball. In 2014 he was inducted into the inaugural class of the State American Legion Baseball “Hall of Fame”.